Former Obama administration national security adviser Susan Rice now has a new gig as a member of Netflix's board of directors. Rice and Netflix CEO Reed Hastings released statements regarding her joining the video streaming company, Variety reports. "I am thrilled to be joining the board of directors of Netflix, a cutting-edge company whose leadership, high-quality productions, and unique culture I deeply admire," Rice said. "We are delighted to welcome Ambassador Rice to the Netflix board," Hastings said. "For decades, she has tackled difficult, complex global issues with intelligence, integrity and insight and we look forward to benefiting from her experience and wisdom." Prior to serving as former President Barack Obama's national security advisor, Rice served as U.S. ambassador to the United Nations under his administration. She also served in various positions in former President Bill Clinton's administration, including as a member of the National Security Council staff and as Assistant Secretary of State for African Affairs. 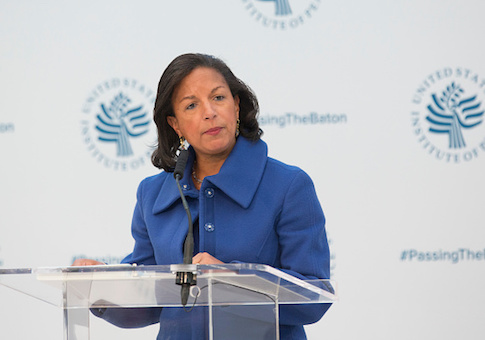 Since leaving government, Rice has become a senior fellow at Harvard’s Kennedy School of Government's Belfer Center for Science and International Affairs and a distinguished visiting research fellow at American University’s School of International Service. This entry was posted in Culture and tagged Hollywood, Netflix, Obama Administration, Susan Rice. Bookmark the permalink.